My apologies on the late start on this year's annual 'Dads N Grads' Buying Guide, but I can tell you it's worth the wait! My first pick not only perfectly covers both the Dads AND the Grads on your list, but it's also a great gift suggestion for any Music Lover in your life. As you all know by now I'm fondly considered 'The Official #TwitterPartyDJ' because I love to host (and attend) twitter parties and spin party tunes that fit the party's respective theme. Music has been a long time passion and love of mine so throughout the years I've road tested my fair share of Audio, from Home Theatres to personal/portable and the accesories that go with them! I literally enjoy music in every room of the house, when I'm cooking there is always music on. I have a huge pink boom box in my kitchen that is an iPod dock and I also have a different type of dock in the bathroom for long hot bubble bath music! I'm obsessed with music and am always updating my playlists. I'm an early adopter when it comes to tech, electronics, software and I'm currently obsessed with Spotify. I'm in the market for a new player as my bedroom dock died and I want something a bit jazzier than what I was using to replace it. So my research is your gain, and of course this fab music loving, twitter party DJ'ing frugalista also had to find something that not only fit the bill, but also offers a great deal too! Get ready for some floorboard rattling, heart thumping HiFi sound. In the kitchen. The bedroom. Any room at all. 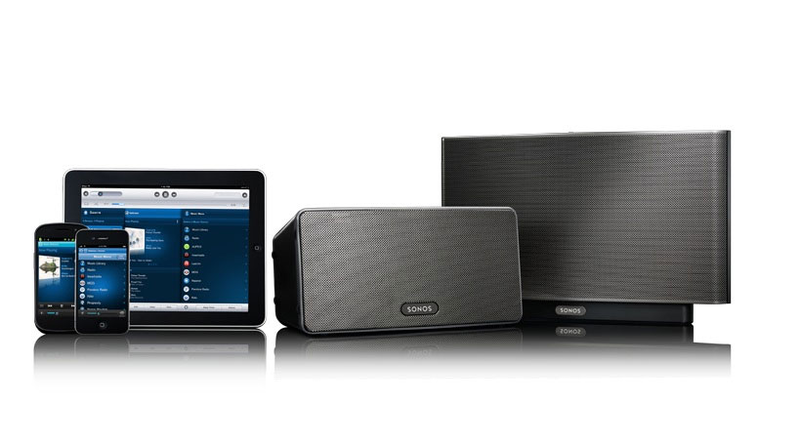 Start with one Sonos® player, then expand wirelessly, wherever you want music. Now take control with your Android smartphone or tablet, iPhone or iPad and play whatever you want, wherever you want. Stream a radio station from Brazil in the bedroom, listen to Top 80s in the kitchen, and play your favorite song from iTunes all over. Sonos connects directly to the Internet, so you can blast a universe of music in every corner of your home. Play a different song in every room or play the same song everywhere, in perfect sync. Tune in to more than 100,000 Internet radio stations, shows and podcasts for free. Stream millions of songs and stations direct from the Internet —no computer required. Receive a FREE $30 Target Gift card with the purchase a Sonos Play:3 wireless HiFi system or a FREE $40 Target Gift Card with the purchase of a Play:5 now through June 16, 2012 at Target stores and at Target.com. Want to let Sonos know that you would love to see a full product review and giveaway featured on Ascending Butterfly? You can send them a tweet on twitter, or post on their facebook wall! Disclosure: I participated in this campaign as a member of One2One Network and I'm eligible for a prize drawing. All opinions stated in the post are my own.